A shy dog can be an anxious dog when it comes to encountering new situations, unfamiliar dogs, and strangers. Training for socialization is very important for shy pups, but coming out of your shell doesn’t have to be all work and no play. 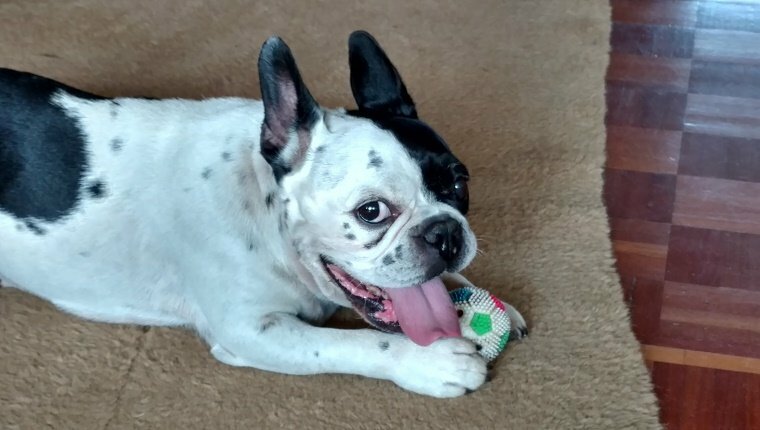 When used in conjunction with proper socialization training, these games can be a fun way for your dog to learn to approach new situations and avoid scary ones while keeping his brain active. Here are six games you can play with your shy pup to help him overcome shyness and keep him mentally stimulated. 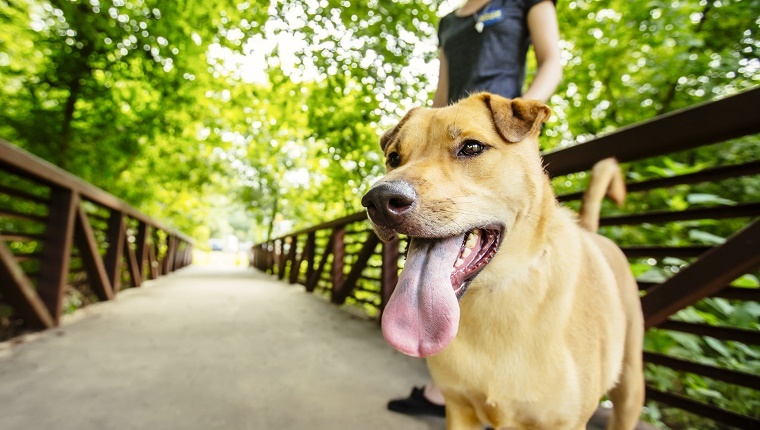 Your pup may feel anxious when people talk to him. If that’s the case, getting him excited to hear his own name will be key to any introduction. 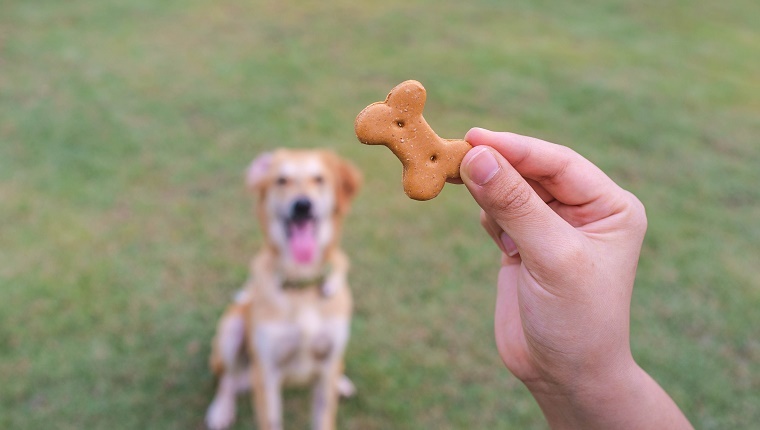 Try simply giving your dog a treat every time you say his name. Eventually, once he starts to look at you and respond to his name, say “yes” and follow up with a treat. This will signal your dog that there is a positive association with his name. 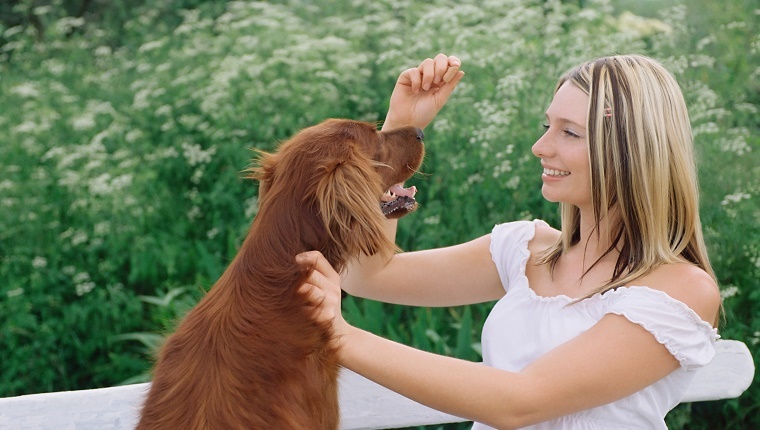 Eventually, you can have another human try using his name, but introductions should be done gradually to reduce anxiety and encourage your dog to interact. Keep in mind it can take months of training before reaching the point where your pup is comfortable enough to meet a stranger. Introducing your dog to new experiences in a positive way is important, and this game helps with that. Hold out a treat in your hand and have your dog take it. Then, try closing the treat in your hand, and when your dog touches your fist, give him the treat. Next, try holding out your closed hand without a treat, and when your dog touches it, give him the treat from your other hand. Eventually include a command like “touch” or “target” and start holding out toys or objects for him to touch. In the future after some training, you can try having another person use the command. This will encourage your dog to explore new things and have a positive association with the experience. The Run Away game is a means of avoiding stressful situations in a way that will make your dog think you’re playing a game. Sometimes situations are just too much for a shy dog in training, and you’ll need a means of escape that doesn’t cause stress. To play this game, take your dog for a walk and at periodic intervals say “run away” and turn and run a few feet in the opposite direction. When your dog follows, reward him with lots of treats and praise. Eventually your dog will come to see this as a fun game and a chance for rewards, and you can use it as a means of avoiding other approaching dogs or strangers that are too scary without causing anxiety or fear. This game is a way to introduce your dog to the idea of exploration. Surround your pup with a circle of six unfamiliar objects. They can be anything from dog toys to pillows. Then, when your pup leaves the circle to explore one of the objects, reward him with a treat and a “yes”. Switch up the objects each time you play and your dog will start to associate exploring new things with a positive response. Eventually if you see the behavior occurring naturally on a walk or in a new situation, keep up the rewards and praise. Exposure to other dogs and humans needs to be taken very gradually with a shy dog. A good way to start is with observation instead of direct interaction. Try going for a walk to a park where there are other dogs and people and simply observe from afar. When your dog’s attention goes to the other dogs and humans, reward him with praise and treats. Starting with this positive association game can eventually lead to interaction, but it will take time. 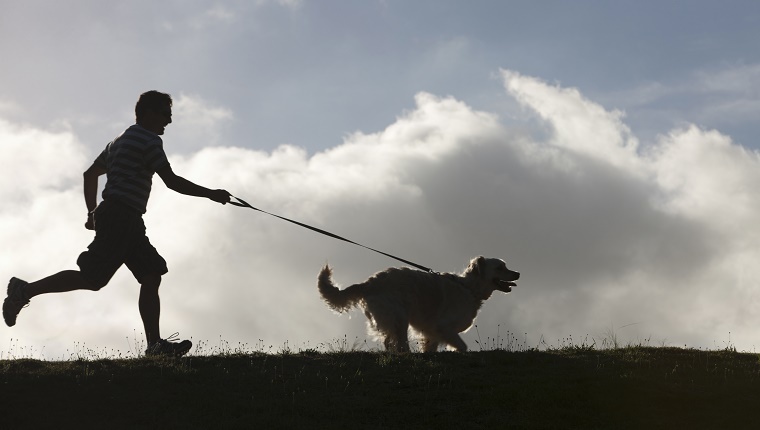 Your dog needs to build a level of comfort to reduce anxiety, and walking and watching can begin that process. This game is a good way to get your dog used to someone he will be seeing on a regular basis like a good friend or relative. Stand Monkey-In-The-Middle style with your dog standing in between you and the new human. 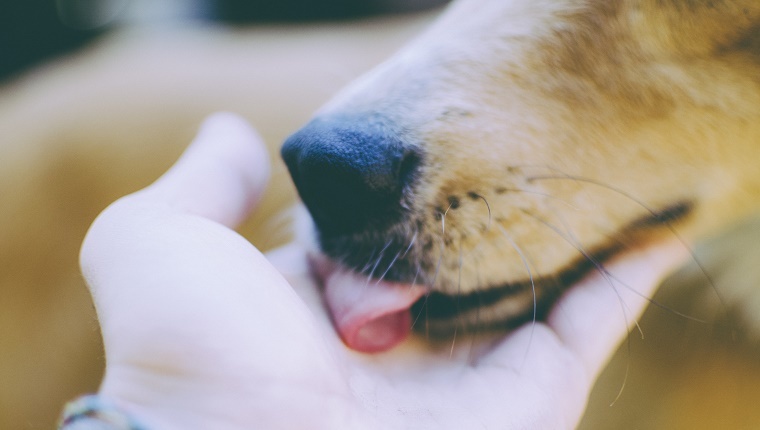 hold out a treat for your dog to see, then toss it over his head. When the dog goes for the treat, have the new human toss another treat in front of your dog so he must move closer to the new human. Repeat the process, each time tossing the treats closer to the new human and farther from you. Eventually your dog will understand that this new human is another source of rewards and gradually obtain a level of comfort. Just don’t expect it to happen immediately or after one time playing the game. It’s a process. What other games and training do you do to help a shy dog? Let us know in the comments below!